You are always welcome to contact us by phone or email. You can also use our enquiry form, found here to the right. We will answer all enquires within 1 business day. Neil has varied career background which includes serving as a police officer, automotive upholstery technician and travel consultant. He possesses a passion for new travel experiences, exciting culinary discoveries and adventure holidays with the whole family. He has spent time working and travelling in many countries, some of which include Germany, Denmark, Holland, Hungary and USA. 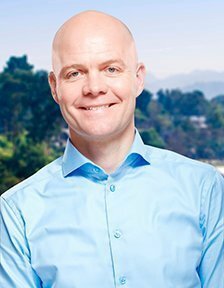 Some of his greatest travel experiences include overnighting in a Serengeti wild camp, visiting the David Sheldrick Elephant sanctuary in Nairobi, crossing paths with some very large crocodiles in Costa Rica and watching the sun go down over Cienfuegos Bay in Cuba with an oversize Mojito! Neil is father to 3 children, enjoys watching and playing sports, as well as managing a local football team. Richard has worked in various customer service positions, including in the tourism industry, and knows how important it is to provide our customers with quality service. Through living in and working with different countries, as well as travelling to many different countries, including various countries in Africa (almost a year in Kenya), various countries in Europe, the Middle East and parts of America, Richard has had the chance to experience different cultures and therefore understands how important it is to plan a tour properly. At Asiatours.co.uk, Richard is on hand to answer your questions and provide guidance on our wonderful tours. Mira originally trained as a tourist guide and has more than 13 years’ experience in the travel and tourism industry. She has, among other things, worked on cruise ships and sailed back and forth between most major ports in the North Sea and Skagerrak – from Newcastle in the north to Copenhagen in the south. She also worked for many years as a guide and ski instructor in Sweden, Italy and France. When not helping other people with their travels and experiences, she enjoys getting away herself. She has enjoyed several trips to the US, Canada, Africa, Asia and most countries in Europe. “What impels me to travel and see the world is the fact that every time I land after a holiday, I return many experiences richer. My job of sharing these experiences with other travellers is a real pleasure,” says Mira. 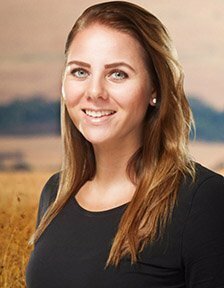 Lea speaks Norwegian, Danish and Swedish and so covers various areas for us: Africa and Asia. When Lea was planning to build a house, she weighed up all the expenses against the number of trips she could enjoy for the same amount. The plan was originally to have an L-shaped house, but it turned out that the whole family could travel to Asia for three weeks for the price of a wing on the house. So the house remained rectangular and eight weeks in Vietnam, Malaysia and the Philippines were crossed off the list instead. One of Lea’s greatest experiences was on a dive when she came face to face with a giant squid. It tried to hypnotise her with bent tentacles in the attack position and provided a fantastic light show, rapidly alternating between different colours in gliding movements across its whole body. Trine has worked with travel since 2000. She has a great passion for travel and has travelled to many of our destinations in Asia and the US. Trine has backpacked, been on organised tours, self-drive holidays, and travelled with her family. One of Trine’s biggest experiences was her encounter with the beautiful scenery of the western US, with a hike in the Grand Canyon particularly standing out. And Ankor Wat was a unique and impressive experience, too. A trip to the scenic River Kwai in Thailand with her family was truly amazing. The children loved sleeping in tents at the Hin Tok River Camp and swimming in the river at Jungle Raft. Iida is a globetrotting Finn who has lived in many countries including Thailand and Greece, where she worked as a guide. 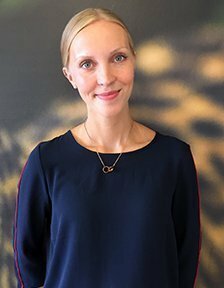 She has an education in tourism and helps our Finnish customers find their way to their dream holiday. Her love of travel and seeing new things is a force that has given her many unique experiences. She reminisces about breathtaking nights in the Thai rainforest and the Tanzanian savannah, where only canvas walls stood between her and the wild animals outside. She has also gotten up close to animals under the water, such as when she found Nemo while diving in the Phi Phi islands. Overall, Iida has seen many exotic animals, encountered different cultures, and experienced the most gorgeous sunsets. In the future, she hopes to gain even more unique experiences with her significant other as her travel partner. 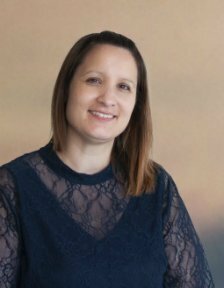 Lene is our administration manager and has been part of the team since 2015. 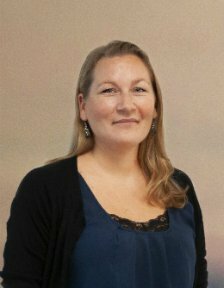 Lene studied communications and has previously worked in marketing and communications, both internally and externally. As an administration manager, Lene handles a variety of different tasks, such as guiding our affairs with an iron fist, working with internal project tasks, and handling customer feedback. She feels that dialogue with the customers, where she gets to hear their great, unique travel stories, is what makes her day fun and exciting. This fuels her own wanderlust and dreams about her next destination. Lene can tick off many places on the world map, having travelled to the US, Australia, New Zealand, Singapore, China and Africa, to name but a few. Her greatest travel experiences include hiking on the Great Wall of China and bush camping at Ayers Rock in Australia. In the future, Cuba and Latin America are tempting, but who knows what may sneak into her travel itinerary until then. 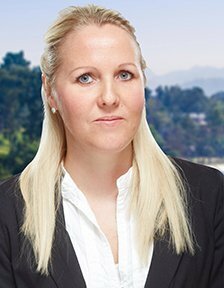 Having studied law, French and media/communications, Elisabeth possesses a wide range of skills. 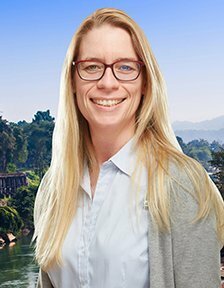 She has many years’ experience in the world of travel – first in the hotel industry and later working for a travel agency, and she has been part of Africa Safari/AClass since 2009. 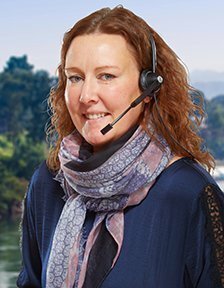 Elisabeth manages the sales department, and her main driving force and motivation is the ability to make people’s travel dreams come true, and to create unique experiences at exciting destinations. She has been to several of our destinations herself, including safaris in South Africa, Kenya, Tanzania and Namibia. Over the years, she has also travelled to Cape Town, Mauritius, China, Indonesia, Peru, Bolivia and Brazil, not to mention several destinations in the Middle East. 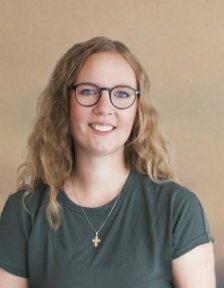 On a personal level, Elisabeth spends her free time in the company of good friends and on walks in the countryside, but she also really enjoys immersing herself in a good book. Anja loves to travel and has done so all her life. Fortunately, she has found a man who shares this passion with her, and they now have three little girls, to whom they look forward to showing the world. She has enjoyed a whole host of “best” travel experiences, but she particularly remembers the time she and her husband went out to see orangutans in the jungle in Sumatra. They had to stay overnight in a primitive “shelter”, and that night the skies really opened, with monsoon rain and thunder and lightning. She hardy slept, and yet she has wonderful memories of that night. The time she and her husband sat on the terrace of their room in South Africa in the evening and could hear the lions calling is certainly also one of her favourite memories. Lene has always loved to travel and experience the world. In her youth, she travelled for months in Africa and Latin America – back then, backpackers prioritised experiences and freedom far higher than comfort. Since then, children have arrived, and good planning is now key. Despite the risk of culture shock, Lene finds it most exciting to experience places that are very different from our part of the world, such as adventure-filled, colourful and filthy India, with its sacred cows, turbans, beautiful saris and the fairy-tale palaces – mixed with chaos, noise, strange horn music, dancing cobras and ancient sacred rituals. 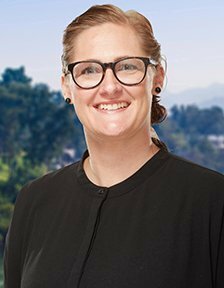 In 2004, her travel experiences led to a job in the travel industry, where Lene now has the pleasure of helping our guests travel out into the world to gather holiday memories. 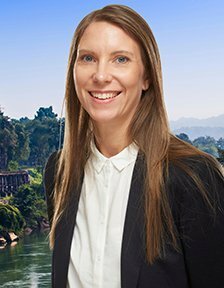 Anja has worked in the travel industry for many years, and at Asiatours since 2015, after having lived in Qatar for several years. From a very young age, she has always travelled a lot, and the arrival of her children has not stopped her. Anja likes a combination of nature, city, beach and an active holiday when she travels. She also loves to go on long road trips, and has driven all over Australia, and made the trip from Qatar to the UAE through Saudi Arabia. Her most recent trips have taken her to the African continent, with a holiday to Mozambique combined with South Africa, and a safari in Tanzania with a beach holiday in Zanzibar. 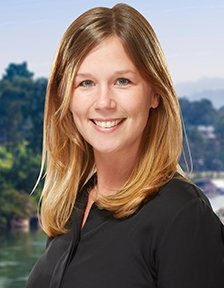 Marie has worked in the travel industry since 2007. But travelling has been in her blood since childhood. As the daughter of a sailor, she has seen almost the whole world from large container ships. She is now passing on this desire to see the world to her two children, both of whom had crossed the Atlantic before they could walk. Her greatest travel experience was pure coincidence, as she was on a trip to the United States anyway – a rally with a young, up and coming politician: Barack Obama! It was amazing to experience a political movement full of hope for the future and where dreams would come true. It was literally part of history. Linda has always been passionate about travelling and experiencing the world. Her many years’ experience as a flight attendant for an international airline, and residence in Germany, the US and Sweden have given her wonderful experiences and insight into the world’s cultures. Here is a selection of her best travel experiences: I left my heart in San Francisco and California, was overwhelmed by the crowds in Tokyo, was thrilled by Mexico City, fascinated by Singapore, but also a horseback ride in Kazakhstan, and a visit to an orphanage in Ethiopia, where she was greeted by an openness and curiosity that made a deep impression on her. To travel is to live and learn. Privately, she enjoys an active life with her family. She also has a keen interest in photography, inspired by the world’s fascinating scenery, beautiful sunsets and many flights over the world’s mountain ranges. Sofia started in the travel industry as coach guide and later worked as a destination manager in countries such as Spain and Bulgaria. 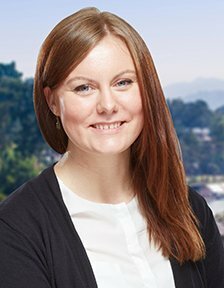 After six years in various destinations, Sofia started as a travel consultant at a Danish/Swedish company. Following a break from the industry, when she had two lovely children and worked in the printing industry, she is now back working with her great passion: travelling. Sofia has travelled in much of Europe and Asia and has also visited Africa. In her spare time, Sofia runs a lot and loves to push herself to run faster by participating in competitions and constantly running new distances. 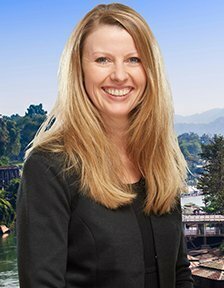 Tanja has been in the travel industry for more than 15 years. She was away briefly to take a course in nutrition and health, but missed the industry too much and is now back with a vengeance! She loves the contact she has with the suppliers and airlines, as well as the challenges that this poses. 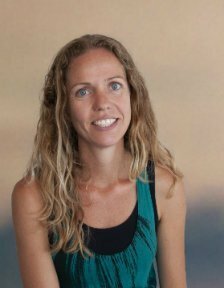 Tanja loves to travel herself, and had some of her best travel experiences in Brazil, Thailand and Tanzania. In Tanzania, Tanja had to push her own boundaries and say yes to grilled squirrel, taken down by the guide with a bow and arrow. Who could say no to that? The next time Tanja is off, she will have her family, which now includes two lovely children, with her. 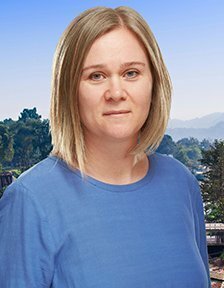 Anne is from Germany and has an education in logistics. She loves to travel and has many good memories from her own travels around Scandinavia, Greenland, Iceland, Africa and the USA, where Anne lived for 6 months as a student. One of her biggest travel experiences came when she was in Greenland and heard a lost whale calf calling for its family, before seeing them reunited a little later. Anne has 2 young girls, and she is excited about showing them the world when they get a little older. She would particularly like to show them the animal life of Tanzania, which has left a big impression on her. Anne spends her free time on her Icelandic horses and lovely rides in nature. As a child, Anne Mette experienced Europe from the back seat of the family car, but in her teens, her passion for Latin America was born. 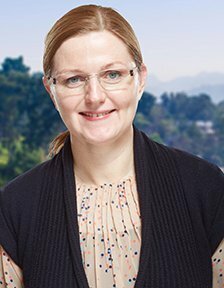 Anne Mette has lived in Ecuador’s rainforest, Argentina’s metropolis Buenos Aires, Brazil’s southern beach paradise Florianópolis and Lima, the capital of Peru. She dances salsa and tango and speaks Spanish and Portuguese. Asia has, however, also been thoroughly explored, with lots of cookery courses, great diving experiences and temple visits. Anne Mette loves to trek and to experience the countryside and wildlife at close quarters – and that goes for under the water, too, as she loves to dive in the warm water. The ideal combination is a lot of activity and then a little relaxation with a good book on the beach. 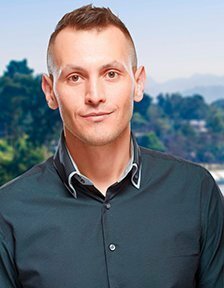 Jude is from the Netherlands and is responsible for booking tours, hotels and flights. She has backpacked through Australia and New Zealand for one year, and prefers the adventurous, spontaneous and simple approach to travel: with a tent and a backpack. 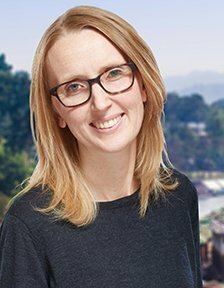 Along with her Danish husband, Jude has travelled around Asia for 4 months, and has witnessed the beauty and fascinating cultures of Laos, Cambodia, Thailand, Myanmar and Nepal. Jude lived in Aruba for 3 months whilst studying Sociology. 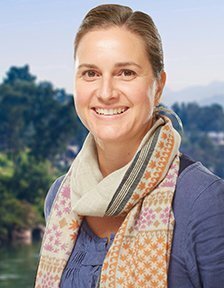 She has many good memories of trekking to the Annapurna Base Camp in Nepal: it’s a fantastic experience to wander through the mountains and face physical challenges. 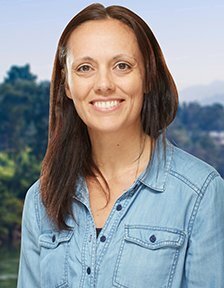 Jude sees it as a privilege to work in the travel industry, and looks forward to expanding her travel experience in South America and Africa along with her husband and children. 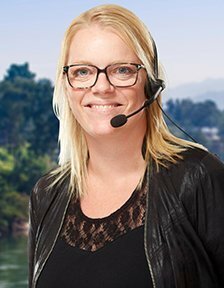 Rikke has many years’ experience of the travel industry and has been part of Aclass since 2010. She is responsible for the booking department, where the customer always takes centre stage. Travelling means a lot to her, and over the years, she has enjoyed many trips to Asia, Australia, the US and most of Europe. She has travelled extensively her whole life because she loves the opportunity to experience new cultures and the feeling of freedom you get when you are away. The best travel experience for Rikke is to take her family on an adventure and experience how it brings the family together. Good memories are a gift for life! Rikke spends her free time together with friends and family. She relaxes at home with a game round the family’s table tennis table. Michelle started with us as an intern in 2012, continuing as a student worker. In 2015, she was taken on permanently in our product department, where she gets to work with what she loves, i.e. sharing her experiences in the form of putting together new and exciting tours. Michelle has visited most parts of the world and has always derived immense joy from travelling. Even if it’s the second, third or fourth time she is visiting a destination, she returns home with new experiences and adventures in her backpack each and every time. Travelling the world and meeting other cultures is an eye opener for how differently life can be lived. To travel is to live and to learn, and this has taught Michelle that it’s the little things in life that matter. 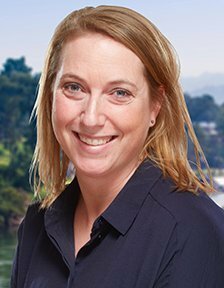 Lene has worked in the travel industry for many years, and since her youth, she has been passionate about travelling the world and discovering new countries, regions and cultures, preferably somewhere new each time. She lives out this passion through her work and on several trips abroad with her husband and child every year. One of her greatest travel experiences was a 3-week tour of Vietnam from North to South, with Hanoi, the beautiful Ha Long Bay, cosy and charming Hoi An, a bike ride from Hue and the Vietnamese cuisine among the highlights. She is also quite smitten with Japan after a family holiday there. The encounter with the country’s kind and incredibly polite people and the breathtaking contrasts between the ultramodern and the wonderful old traditions, which thrive side by side, gave the family a truly unique experience. 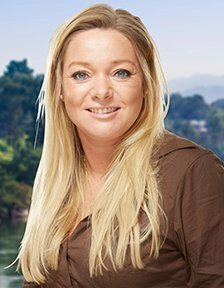 Lene’s other first-rate travel experiences include: a safari in Tanzania, family holiday to Bali with young children and Argentina from north to south. 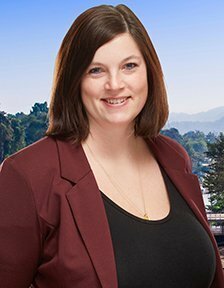 Christina has worked in the travel industry for more than 15 years, and over the past 10 years, she has devoted herself to working with travel production. It is both interesting and challenging to work with people from all over the world, and she loves putting together tours that she knows will give our customers a wonderful experience. She started travelling as a young backpacker, and has been bitten by the travel bug ever since. She now has two lovely children who, thankfully, are happy to travel with her. She loves nature and wildlife, but what fascinates her the most on the tours is how history is brought to life when you are standing on top of an ancient Mayan ruin in Mexico, for example. Winnie originally mastered in history, but has travelled most of her life. As a girl, she travelled through most of Europe on the back seat of her parents’ car, and as soon as she had finished sixth form, she packed her backpack and set off on adventure. Her great passion is Australia. She loves Australia and has travelled Down Under more than 15 times. Her greatest travel experience is, however, the time she stumbled over a baby giraffe in Africa. Or perhaps the sight of the sun glistening on the snow-capped Aconcagua. A wedding in Thailand also features high on the list – or a totally unplanned road trip through Texas. She loves contrasts. She loves getting behind the façades in the countries she visits! Louise is educated as an office assistant and previously worked with online sales for HVAC products. She has quickly fallen for the travel industry, and as she says; It’s a bit more fun to describe exotic destinations and exciting tours than to make descriptions for taps and toilets. She is very fond of Canada after countless holidays and stays in the province of Alberta. Her weakness for that vast country stems from its combination of enchanting nature and a diverse population, and not least, the close bond she has made with her Canadian family members. Some of the travel experiences that stand out the most include a cottage trip in the Canadian Rocky Mountains in -35°C weather, and a quiet sunrise from a single-occupant tent in the mountains one gorgeous summer morning. Aside from this, Louise has experienced most of the countries in Europe on self-driving holidays as a child, where the family had a lot of fun learning as many phrases as possible from each country they passed through. Peter holds a masters in management accounting and his employment history includes seven years as a consultant at Deloitte. When he was at Deloitte, Peter was posted to London for 18 months, and worked on projects in Australia. Through his consultancy work, Peter has built up extensive experience in the world of finance. Alex has an MSc in Business Administration and Auditing, and previously worked as an accountant. He has worked in the travel industry for several years, and his day-to-day work involves most areas of finance. Alex has, among other places, travelled to Florida with his family. One of the highlights of this trip was when his then 5-year-old son was allowed to hold a live alligator. But the trips to Kennedy Space Center and the Magic Kingdom were also really fascinating experiences. 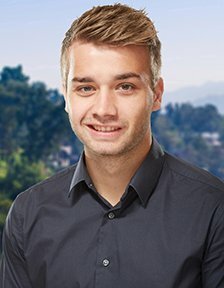 Daniel trained as a Financial Controller at a business academy in Denmark, before joining Aclass as a Finance Trainee in the summer of 2016. He is very happy to work as part of such a highly professional team. This makes it easier for him to focus on giving the customers the help they need. As a child, he went on charter trips around Europe and enjoyed the sunshine. But his greatest travel experience was in Thailand, where he experienced the incredible cultural differences compared to his native Denmark. He was particularly fascinated by how incredibly beautiful it can be around the country. He also went snorkelling, where he saw just how rich the marine life can be. 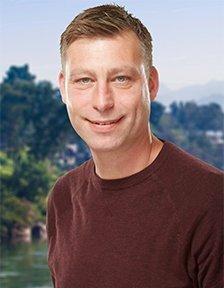 Dino has worked with marketing and commercial business development for more than 10 years, most of it in the travel industry. He attaches great importance to relevant, effective and unique marketing – and that our guests enjoy the experience of their lifetime, every time – as marketing doesn’t get better than that. Dino has visited many of our destinations, and enjoyed a lot of amazing and unique experiences as a result. Getting a good night’s sleep is important to him and, according to Dino, the world’s best night’s sleep comes from sleeping in a tent camp in the Masai Mara National Park in Kenya. He spends much of his spare time with his family, especially his two young children. However, he also finds time for his friends every once in a while – and, according to Dino, a trip to the gym or a jog by the sea are great ways to relax. 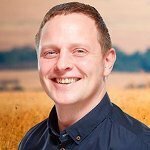 Dennis is a PPC Specialist in our marketing team and works with data and analysis, focusing on search behaviour. He is self-taught when it comes to digital marketing and, after business school, he worked for more than 10 years with E-commerce in a number of roles and companies. Dennis knows a surprising amount about toilets, taps and guttering as a result of many years’ work with the sale of plumbing products. His colleagues can always turn to him for good advice when they need help with a DIY project. When he’s not at work, Dennis spends his time enjoying football or travelling. The destination is not that important to Dennis – just as long as he’s in good company and the temperature is around 25–30 degrees. 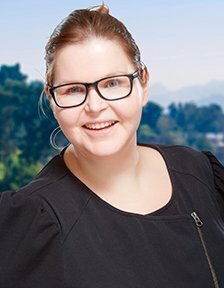 Trine is an SEO specialist who helps develop content for our websites and makes sure that they and the search engines speak the same language. The first “real” trip Trine was on was two weeks’ interrailing through Europe when she was a sixth former. Since then, she has done the classic round-the-world trip, countless city breaks and charter holidays, not to mention six months in China in connection with studying Chinese at Aarhus University. And China holds a special place in Trine’s heart. Her stay in the country provided some of her greatest experiences as well as cultural, personal and linguistic challenges. Today, her love of the language remains intact. René has worked with website development for more than 20 years and is responsible for ensuring that the user-friendliness and speed of our websites are top notch. He has travelled extensively to Thailand, Egypt, China, Russia and large parts of Europe, among other places. His interest in world history occupies an important place on his travels, with the Pyramids in Cairo his greatest experience, but there have also been a number of football trips to England, Germany and Italy. And it’s always very important for him to get out and taste the local food on his holidays. In his spare time, René has green fingers, with lots of flowers and plants both inside and out. And if it’s too dark or too cold outside, he reads a lot, naming Hemingway as his favourite author. If he needs a good laugh, he also has the complete collection of the world’s funniest comic strip “Calvin & Hobbes” to keep him amused. Eva is responsible for running and optimising our internal processes. She trained at A.P. Møller-Mærsk, where she initially developed her interest in processes. Eva has previously lived in both the United States and Germany, and has always loved travelling. For example, she has ridden a motorbike along the coast of Vietnam from south to north, and has visited the Philippines, Malaysia, Singapore, Hong Kong and Indonesia on numerous occasions. She has also been on several trips to Central and South America, visiting countries including Brazil, Panama, Costa Rica and Nicaragua. Next on her wish list is a safari holiday in Africa with her husband and children, as her visits to Africa thus far have been limited to charter trips to Egypt and Tunisia. As Eva sees it, travelling is synonymous with freedom! 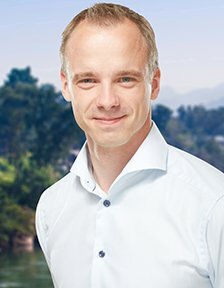 Claus trained in the transport and logistics industry, and has lived and worked abroad for eight years in Germany, China, Japan and Korea, among other places. Over the years, Claus has travelled in Asia, Europe, the US and Canada, as well as Kenya, Tanzania and South Africa. 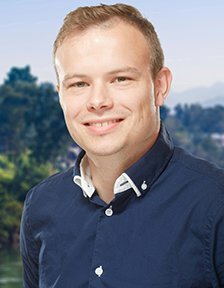 Claus has from day one, been passionate about ensuring that Asiatours always does its absolute best to provide its customers with amazing experiences. 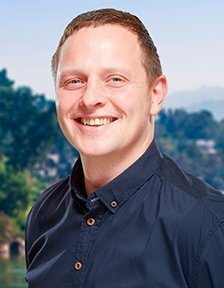 His passion is to live up to the mantra of “giving our customers the travel experience of their lifetime”, and this must always form a central part of the day-to-day work at Asiatours. As should a respect for the nature, wildlife and our partners at the destinations. 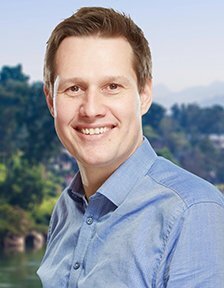 In his spare time, Claus prioritises his family, travelling to some of Asiatours’ exciting destinations, or a round of golf with friends.